Composed by Geoff Bullock. Arranged by Jane Holstein. Choral Anthems. Praise & Worship, Love, Prayer, Renewal, General Worship, Sacred. Octavo. Hope Publishing Company #C5125. Published by Hope Publishing Company (HP.C5125). By Geoff Bullock. Isaiah 40:31, 1 Corinthians 13:12, Ezekiel 18:31, Ezekiel 36:26, Psalms 51:10, Romans 12:1-2. 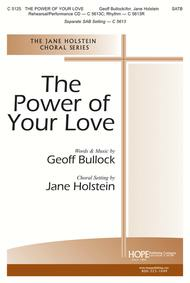 Geoff Bullock's popular celebration of the power of God's love, is set here by arranger Jane Holstein in a flowing, passionate ballad. 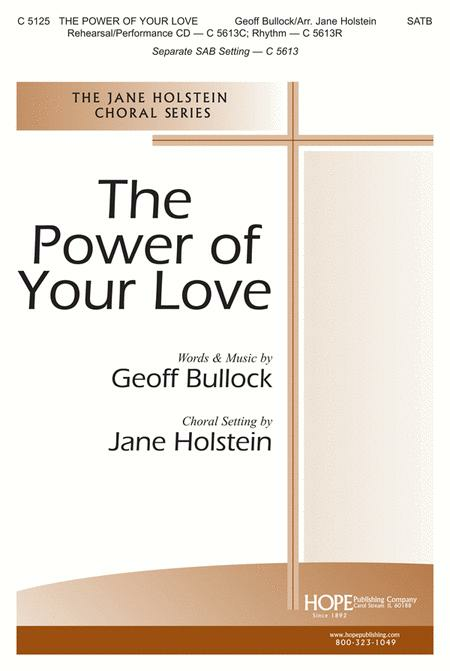 Artistic and accessible for most choirs, the SATB setting is a top-seller in our choral catalog. Now also available in an SAB setting, with new rhythm parts and CD track. The Rhythm packet contains parts for Guitar, Synth, Bass Guitar and Drum Set. 24 of 54 people found this review helpful.